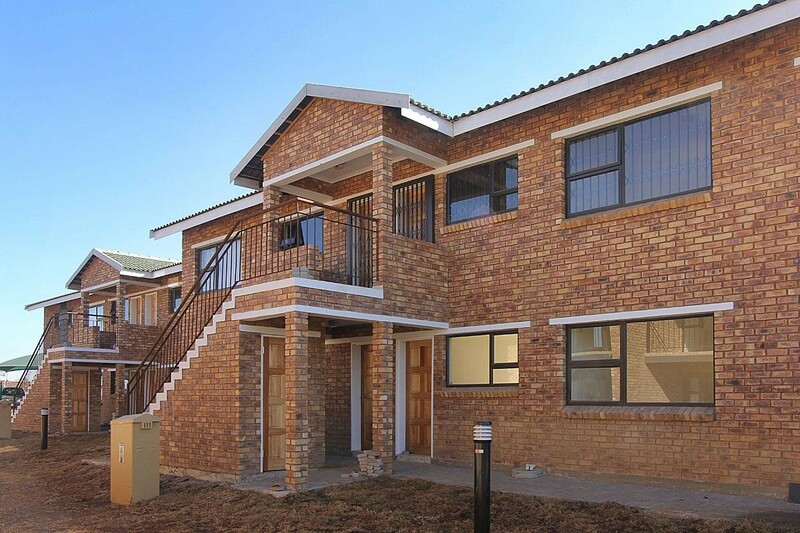 Sign-up and receive Property Email Alerts of Residential New Developments in Boksburg, Boksburg. New Security Estate in Witfield Boksburg. Witfield Ridge. Next to ERPM golf course, and minutes away from East Rand Mall. All apartments have pre-paid electricity. Own private build in braais and two bathrooms. Options to choose between ground floor with patio and garden or first floor with balcony. The complex is totally fenced with a security gate, intercom has 24hr Access a guard house and electric fencing all around.